NordenBladet – Israel is the intersection of many cultures, religions and people. Israel is a holy land where every stone has its own story … In my travel blog today, I invite you to the roots of cultural history. 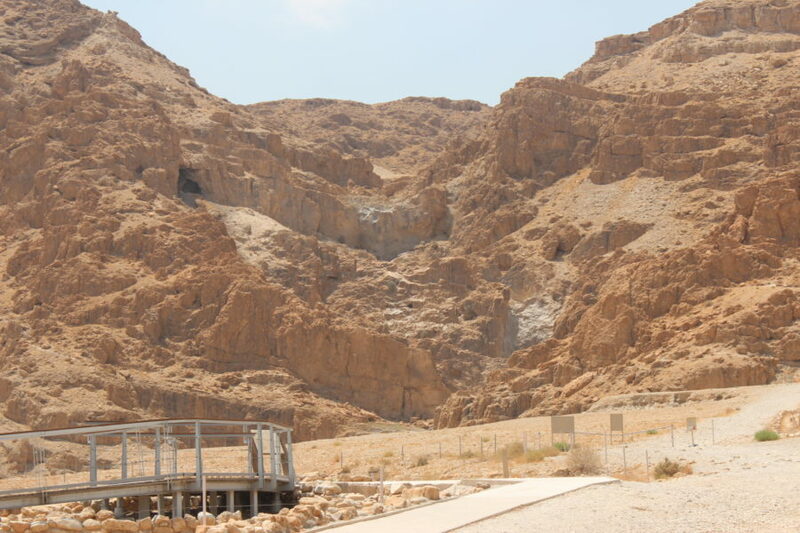 I write about the Kumran (Qumran) caves where the Dead Sea Scrolls were found – being the oldest known Bible texts and also I write about the famous Dead Sea. Qumran is situated half a mile from the northwestern end of the Dead Sea, and this settlement was created between 134 and 104 b.c.e. during the reign of John Hyrcanus. It is believed that caves were used to hide in the event of danger. 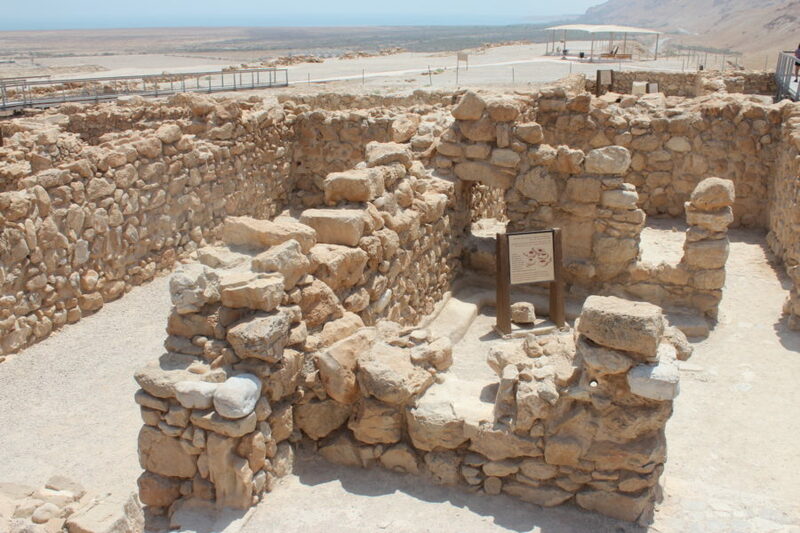 During the 1947-1950 archeological excavations, there were discovered 900 Dead Sea Scrolls that reflect the secrets of life and beliefs of religious sect as well as an overview of the Jewish society in Israel during the Second Temple period. Dead Sea Scrolls are the oldest known Bible texts. 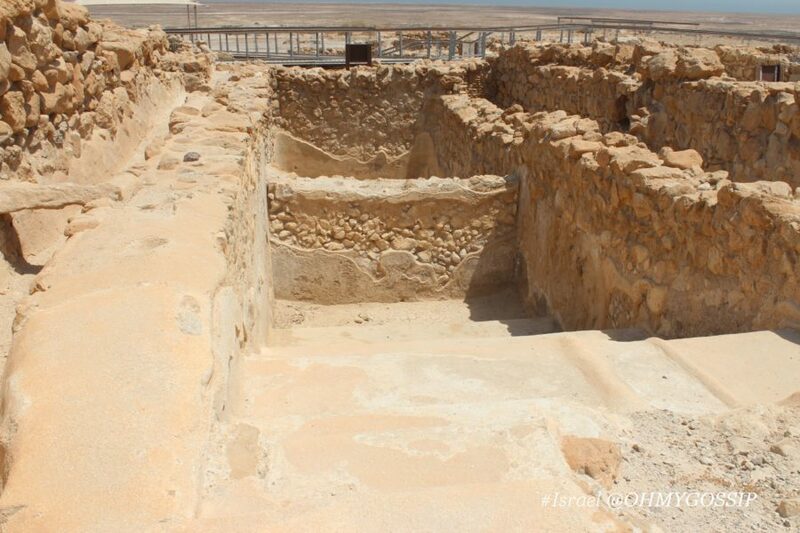 It was interesting to see that already two thousand years ago, the caves were dug into the rocks, there was a dwelling, a common dining room and washrooms with a bathtub cascade – the possibility of the mikvah (i.e., women’s ritual cleansing bath). Historians think this place was home to Jewish religious sect – the essenides. In the east of the settlement, a cemetery was discovered, where the remains of the males were mainly found. The Dead Sea Scrolls were found in eleven caves believed to have been in libraries, since traces of shelving systems were found there. The Scrolls were most likely to be hidden in the caves during the first Jewish-Roman war (66-73 BC). Shrouds and historic coins have also been found in settlements. 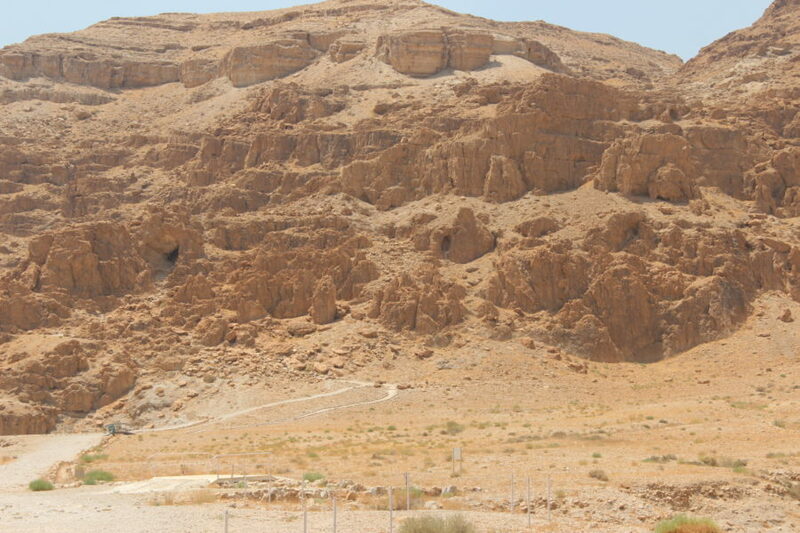 When possible, I would definitely recommend visiting Qumran during your stay in Israel to get an idea of ​​how people lived in the mountains 2000 years ago – the excitement is guaranteed! 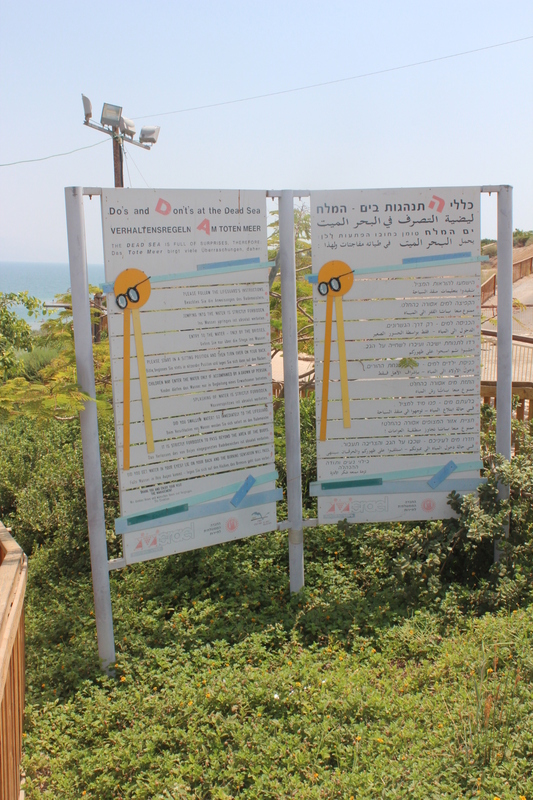 The ride from Jerusalem to Qumran runs along the Dead Sea pier – on the left is a salty lake 50 kilometers long. On the right is the hills and oaks of Judea. 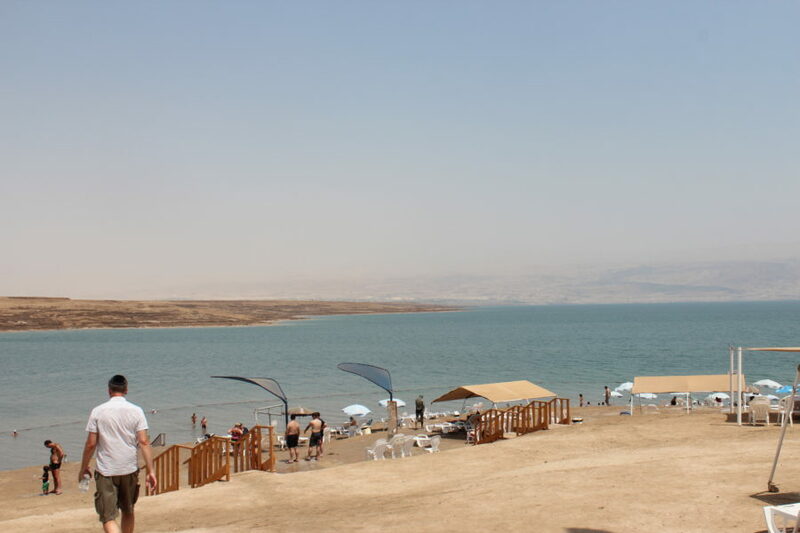 The Dead Sea is about 408 m below sea level. The lake’s salt content is 25% (the world’s highest salt content water body). Ancient people called it the Sea of Salt. Local people call it that up to this day. There is practically no rainfall there: the rainfall is 50 mm per year, and there is really hot- the temperature is 32 °and 39° C throughout the year. We walked along the Dead Sea shore and touched the water. Water leaves an oily touch, because it is so salty (34g of salt per liter of water). Therefore, it is not possible to swim in the Dead Sea; one can only hover in the water. The Dead Sea is one of the most widely advertised health settlements in the world, with its medicinal properties known already for two thousand years. This is one of the first health resorts in the world, a place mentioned even in the Holy Scriptures. The saltiness of ordinary seawater is about 3%, while in the Dead Sea it is about 27%. Magnesium, potassium, calcium chloride and various bromides rejuvenate the skin, improve the functioning of the nervous system, accelerate blood circulation, strengthen bones and nails, and relax the muscles, while giving strength to the body and improving the immune system. 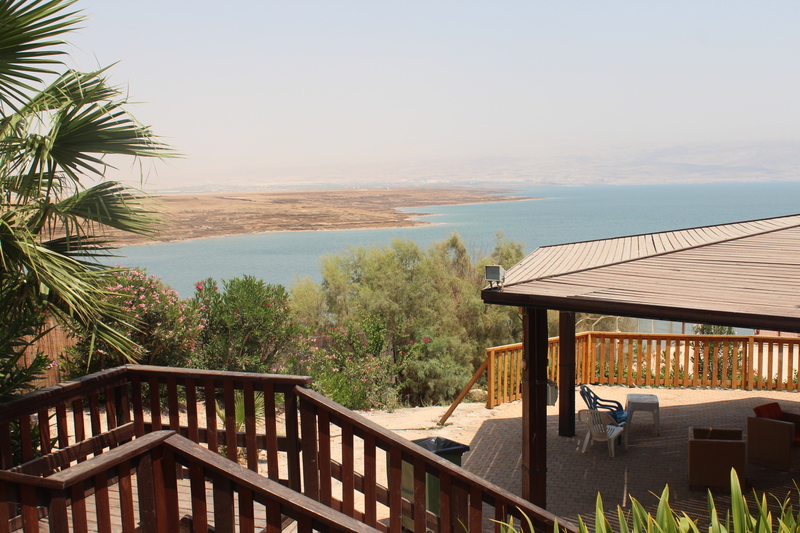 A number of kibbutzim are located in some oases of the Dead Sea. These are cooperatives in which people engage in agricultural production and live on the sale of these products. According to data from 2010, 270 kibbutzim made up 40% of Israeli agricultural output. Historically, kibbutzim have also been involved in national defense tasks.